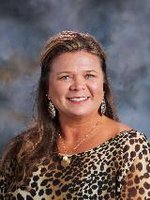 Hello, my name is Kay Q. Phillips and I am proud to say that I have been a part of the Pike County School System for almost 20 years. After graduating from Troy University with a Bachelor of Science in special education, I have taught at Pike County Elementary School and presently teach at Goshen High School. With the patience and understanding of my supportive family, including my husband-Shea and my two sons-Tyler and Taten, I have been able to dedicate much of my time trying to be the best instructor that I can be for all students, in the resource, as well as, the collaborative (general education) setting. In addition to being a teacher, I also co-sponsor the Jr. Class at Goshen High School.